Mango Sapphire by Humboldt Seed Organization is a feminized cannabis seed that has its origins in the cross of a Bubba's Gift and an OG/Afghan X elite clone. This Californian Indica has not only soothing properties but also exotic organoleptic ones. It is an easy-to-grow marijuana plant with a fast flowering period that yields big hard buds and requires a balanced take-up of fertilisers as well as the use of tutors. The flavour and aroma of Mango Sapphire are pronounced and complex, with hints of exotic fruits, mango, coconut and acid fruits. 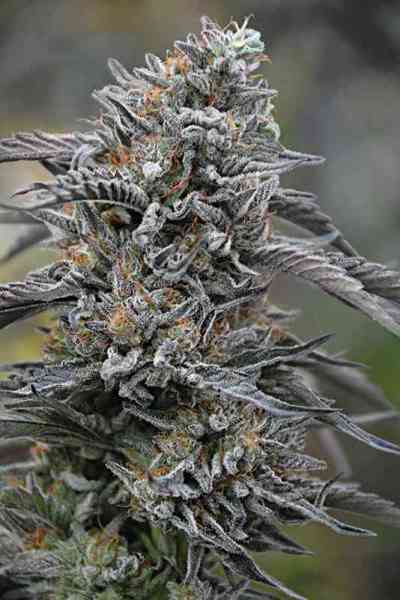 It provides a powerful and balanced effect, cerebral at first but more physically relaxing later on.